Richard Victor is a senior litigator at law firm of Briskman Briskman & Greenberg, where he focuses exclusively on representing injured individuals in workers’ compensation claims. Prior to joining Briskman Briskman & Greenberg, Richard was the managing attorney of the workers’ compensation department of a prominent injury law firm. Over the course of his nearly 30-year career, Richard has successfully tried countless cases before the Illinois Workers Compensation Commission. In connection therewith, Richard has argued numerous cases on administrative and appellate review to the Illinois Circuit Courts, Appellate Courts, and the Illinois Supreme Court. As a result of his passionate, scrupulous, and skillful advocacy, Richard has earned a reputation – amongst attorneys, insurance adjusters, Arbitrators and Commissioners of the Illinois Workers Compensation Commission – as a fierce advocate for his clients. In addition to achieving significant recoveries on behalf of his clients, Richard was the lead attorney on two seminal decisions in Illinois workers’ compensation jurisprudence. In the Alvarado v. Industrial Com’n, 216 Ill. 2d 547 (2005), the Illinois Supreme Court held that, under Section 16 of the Illinois Workers Compensation Act, the Illinois Workers’ Compensation Commission retained jurisdiction to determine attorney’s fees after the approval of settlement contracts. In Julia Garcia v Magid Glove, the Circuit Court, on review from the Illinois Workers’ Compensation commission, held that the statutory cap on attorney’s fees does not apply to wage differential cases under Section 8d-1 of the Workers Compensation Act. Richard is currently a member of the Illinois Workers Compensation Lawyers Association. 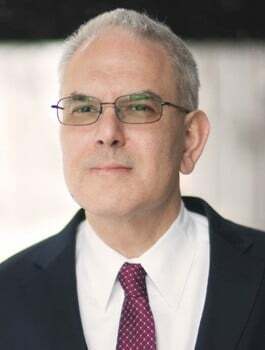 Richard has been a member of the Illinois Bar since 1984, and is a graduate of Case-Western Reserve University in Cleveland, Ohio with a BA in 1981, and John Marshall Law School in Chicago, Illinois with a JD in 1984. Over 1.3 million accidents each year in America are cell phone related. Don’t put you, your passengers, and other drivers in Chicago at risk of personal injury. Avoid auto accidents and save lives. Don’t text and drive.